Jack Wilshere reportedly spoke to his old manager Arsene Wenger about his future this summer before leaving Arsenal on a free transfer to West Ham. The England international decided to run down his contract at the Emirates Stadium and make a fresh start away from the club he’s been with for his entire career, save for loan spells at Bolton and Bournemouth. 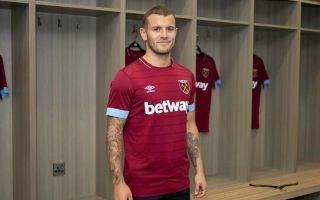 Wilshere was a West Ham fan growing up and that emotion drove his decision as he took time to think the move through and talk with Wenger as well, according to the Independent. The 26-year-old explains in his interview that he’s been impressed by new Hammers boss Manuel Pellegrini so far, and it looks like this side does have real potential going into the new season. Replacing David Moyes with Pellegrini looks a clear upgrade, while Wilshere is a quality signing on a free, while big names like Felipe Anderson have also come in at the London Stadium. Arsenal fans, however, were largely sad to see Wilshere leave, so may not be too happy to learn from the Independent that talks with Wenger did not ultimately lead to the player opting to remain in north London.